China’s foreign ministry expressed anger on Monday after two US warships sailed near islands claimed by China in the disputed South China Sea. The ships entered the waters without China’s permission, ministry spokeswoman Hua Chunying told a daily news briefing. Beijing and Washington are locked in a trade war and the two sides are trying to hammer out a deal ahead of a March 1 deadline when US tariffs on $200 billion (GBP 155 billion) worth of Chinese imports are scheduled to increase to 25 per cent from 10 per cent. Escalating tensions between the US and China have cost both countries billions of dollars and roiled global financial markets. 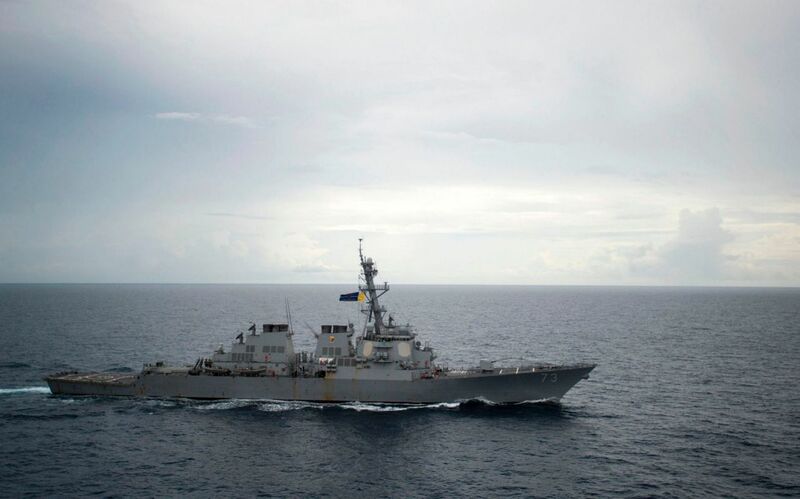 The US has made several excursions into the South China Sea, provoking Beijing’s anger (AFP). A US official, speaking on condition of anonymity, said the two guided-missile destroyers traveled within 12 nautical miles of Mischief Reef in the disputed Spratly Islands. China claims almost all of the strategic South China Sea and frequently lambasts the US and its allies over naval operations near Chinese-occupied islands. China and the US have repeatedly traded barbs in the past over what Washington says is Beijing’s militarisation of the South China Sea by building military installations on artificial islands and reefs.